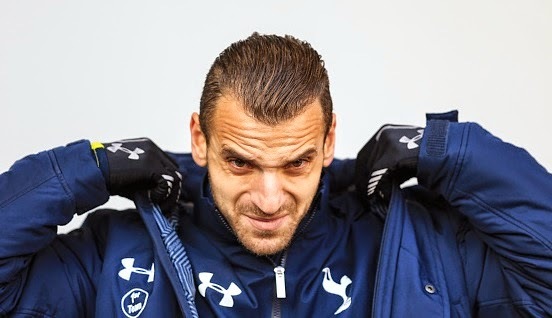 Italian side AC Milan are interested in signing Tottenham Hotspurs striker Roberto Soldado who is having a difficult season at White Hart Lane. After the loan agreement with Atletico Madrid for Fernando Torres, Milan are keen to test another flop Spaniard who has lost his form in the recent years. Since leaving Valencia for €33million in 2013, the 29-year-old has been hit with continuous hard times. He has not shown any form that he showed in Spain. With youngster Harry Kane being preferred by Spurs boss Mauricio Pochettino, Soldado would likely be eyeing for a move. Daily Mail reported that AC Milan are looking to secure Soldado’s services on loan. However, Spurs chairman Daniel Levy is willing to offload the Spanish striker permanently rather than on loan. AC Milan could make a bid for a permanent deal if Spurs did not send him on loan. Spurs will not get even half of what they paid to Valencia but could get round €10million which is enough for the flop. The 29-year-old has scored only once in 12 Premier League appearances this season. Boss Pochettino has no plans of giving him another chance. While last season he netted six goals in Premier League and four were from the spot kick.